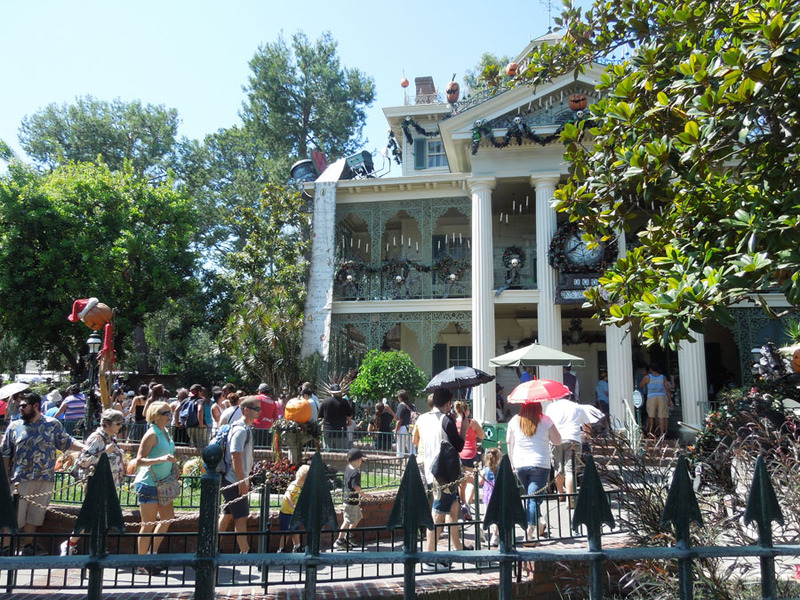 The Haunted Mansion is one of the most loved rides at Disneyland. It's a classic. 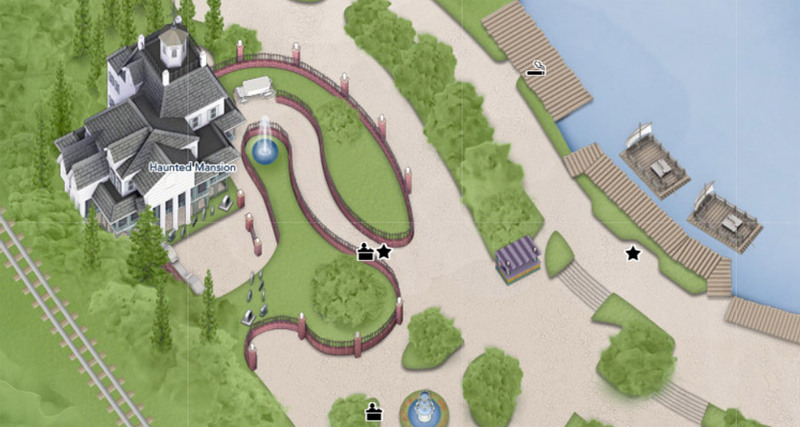 Haunted Mansion is a dark ride split into two sections, a walk-through section and a ride section. 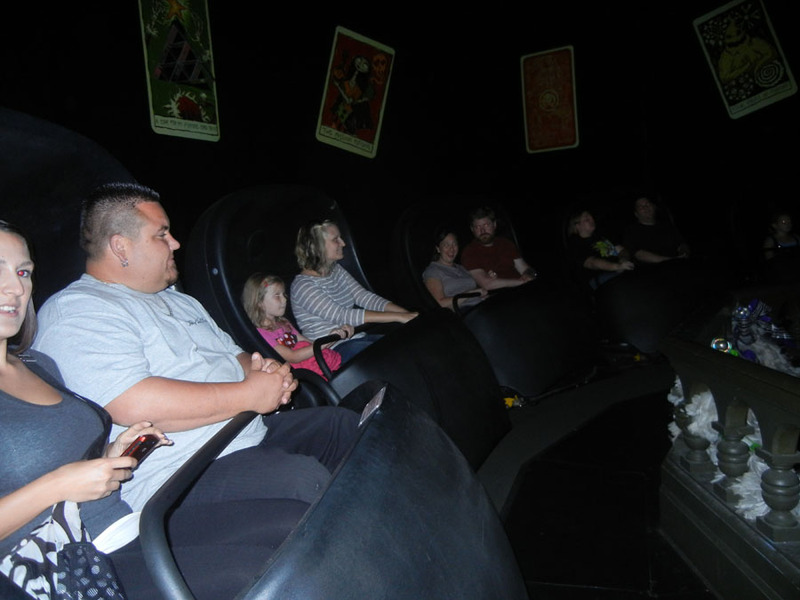 The ride vehicle, known as a doom buggie, is unusual in that it can spin left and right while travelling along the tracks. The house itself looks very large from the exterior. It isn't dirty, and it isn't draped in spiderwebs or dust. 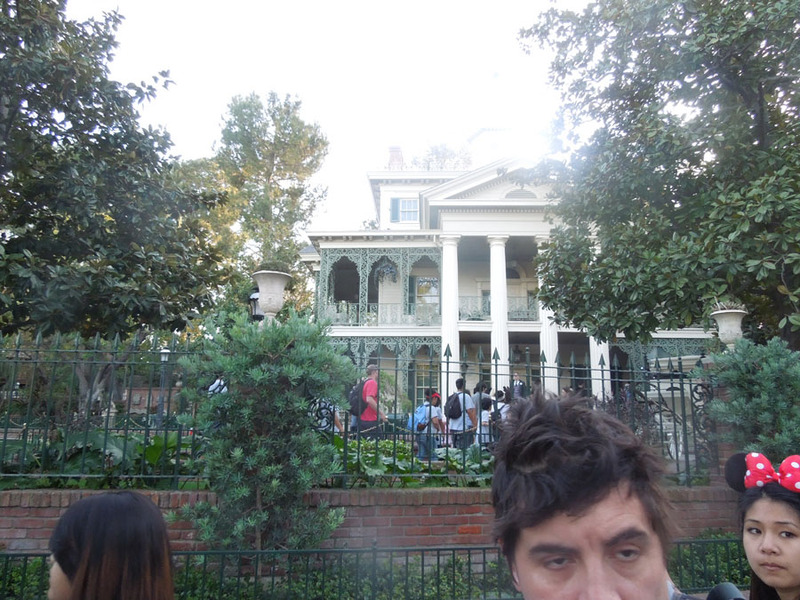 It is just haunted. 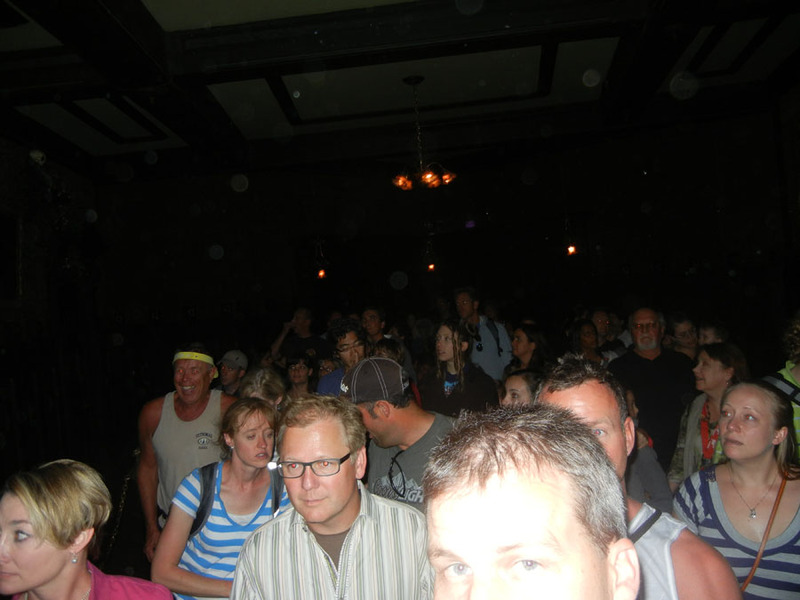 This area holds the queue for haunted mansion when it is busy. 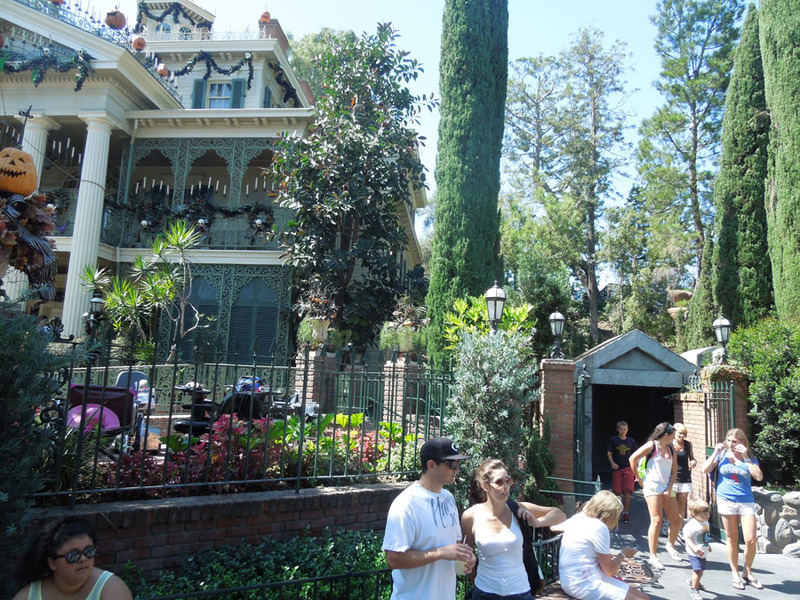 On the right is the haunted mansion exit. 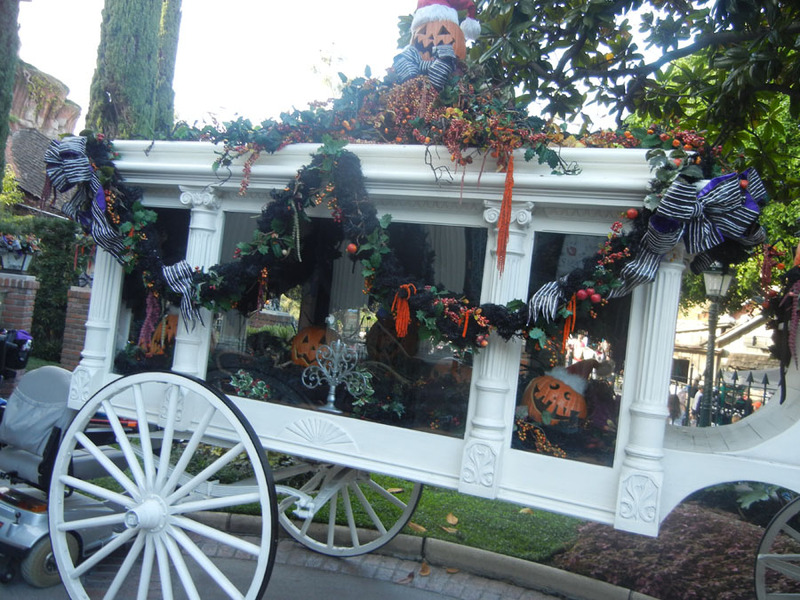 View of the white hearse from outside of haunted mansion. 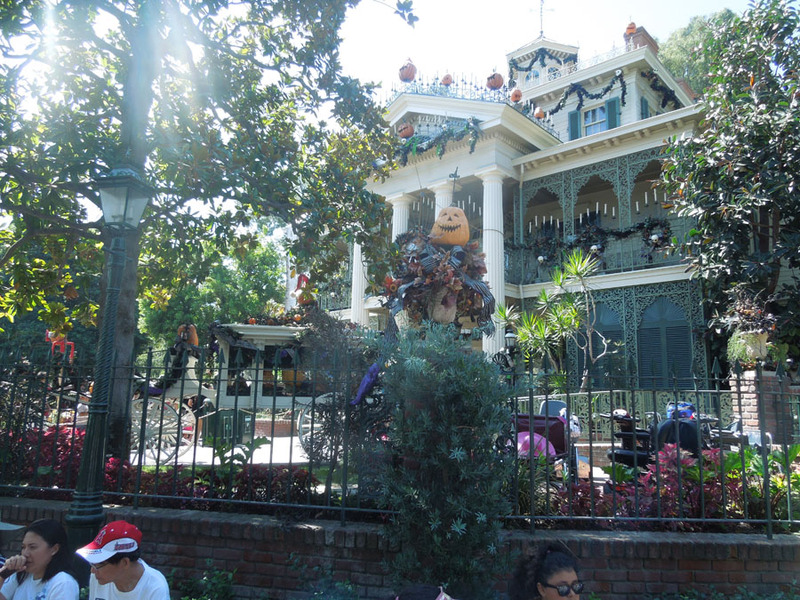 Looking out towards the water from haunted mansion. 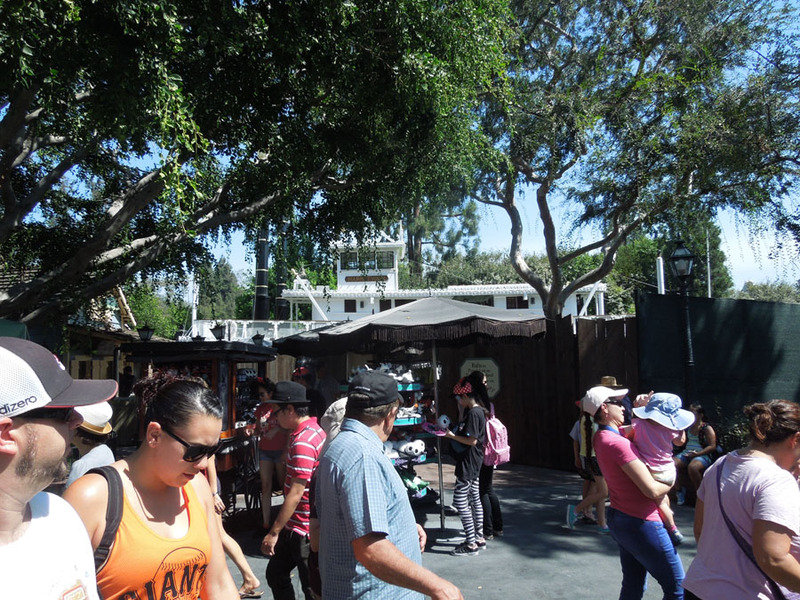 Note the black patio umbrellas. 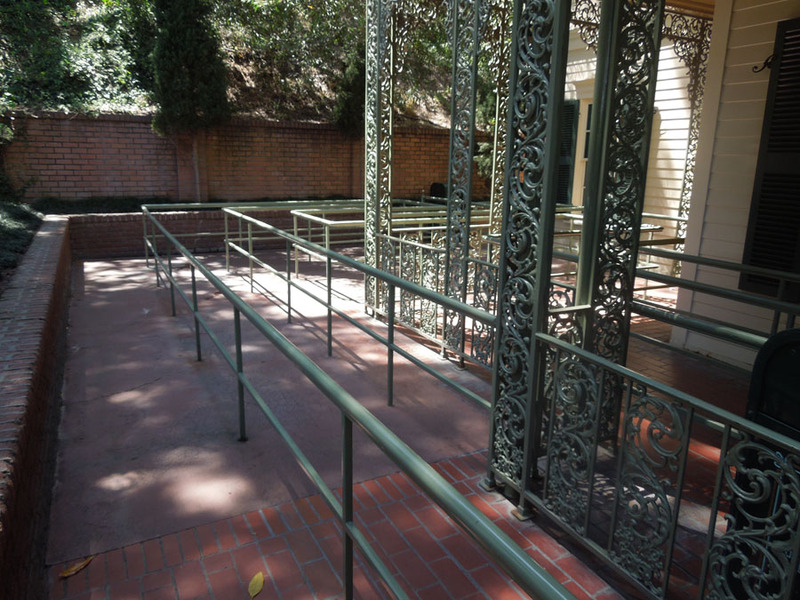 The path to the haunted mansion. 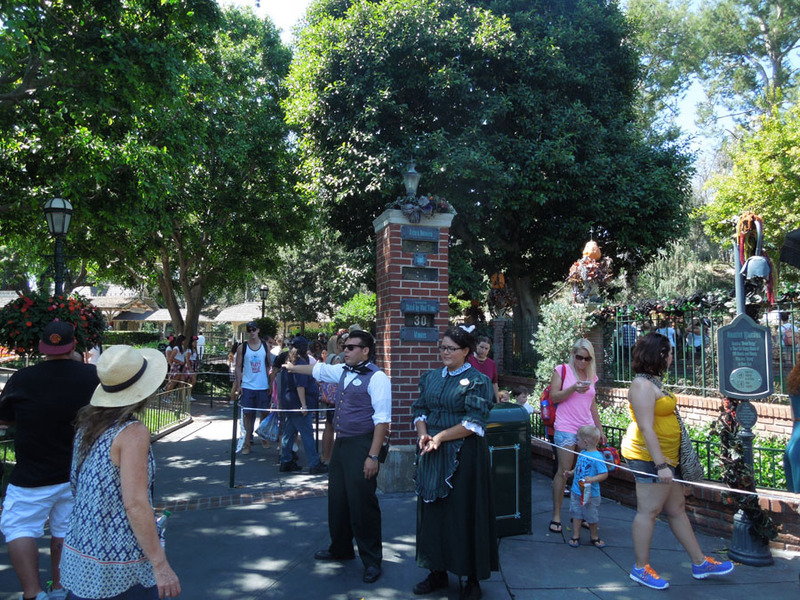 Line management at the haunted mansion. 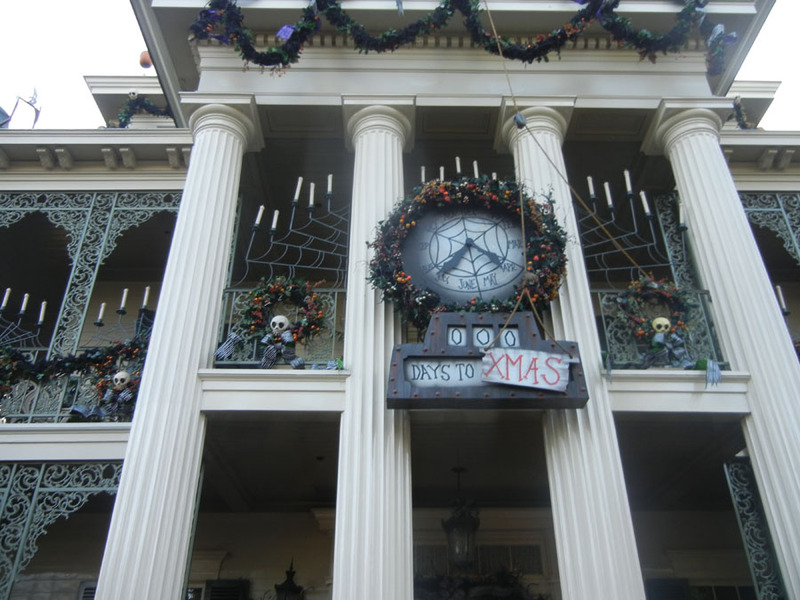 During halloween, the Haunted Mansion becomes Haunted Mansion Holiday, and it is decorated with Christmas and Halloween decorations. 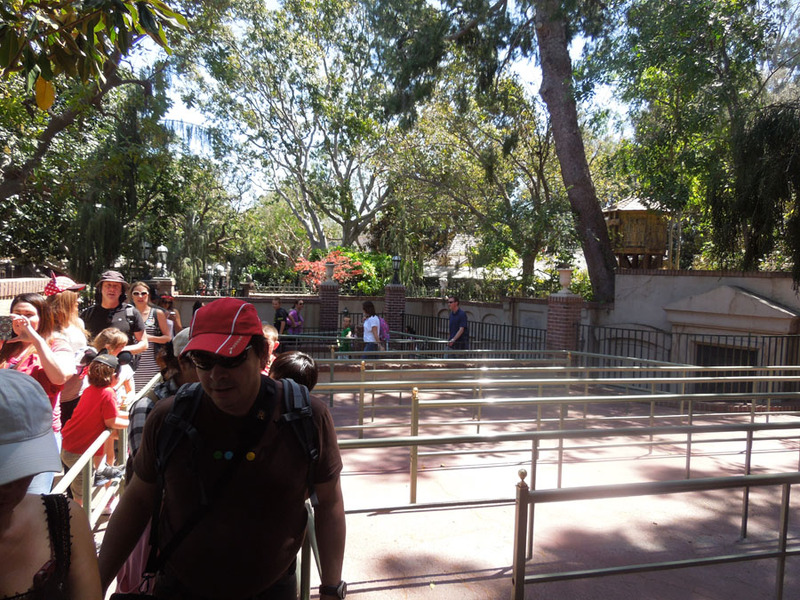 This is also the only time when Fastpasses are offered for the ride. 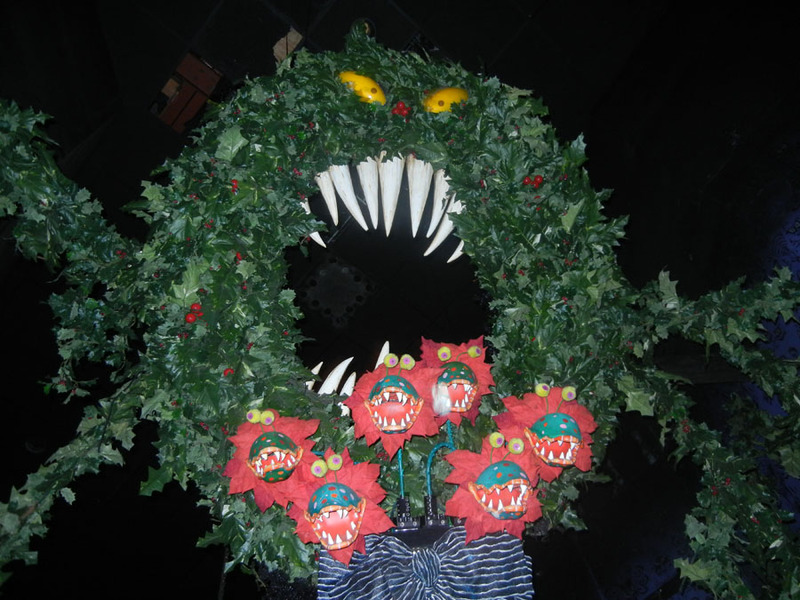 The Xmas countdown clock at 000. 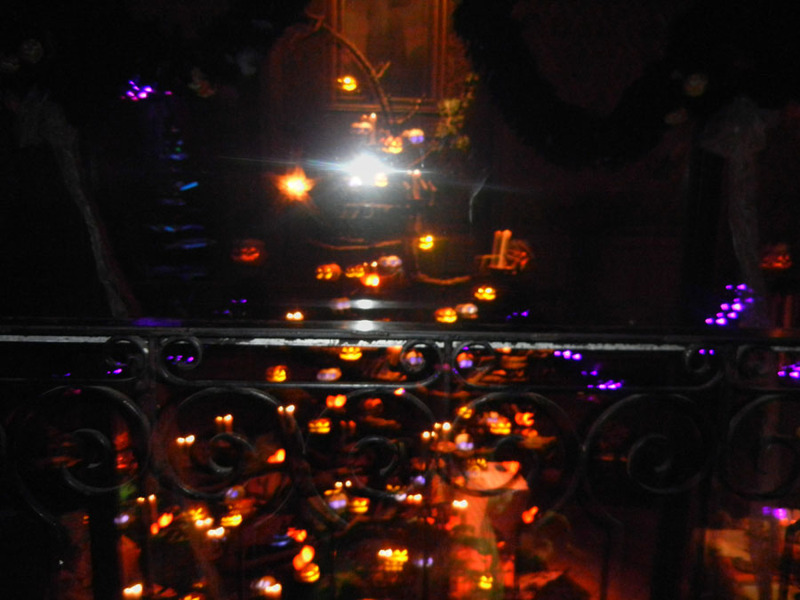 Also note the candelabra ironwork. 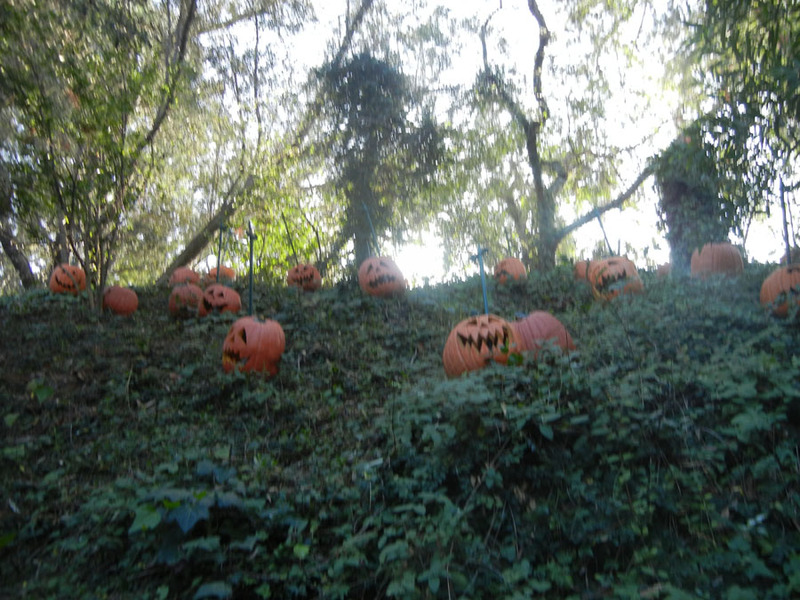 Pumpkins on the hill behind Haunted Mansion. 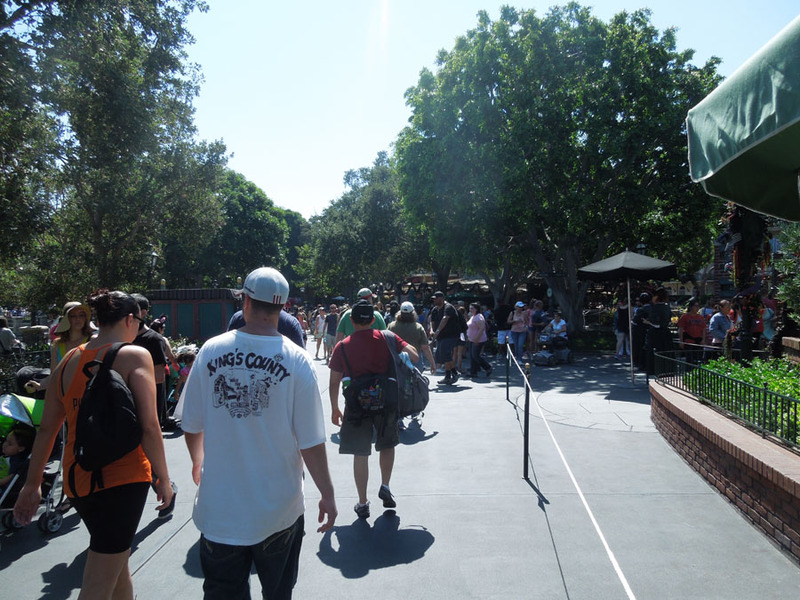 Nearly to the ride vehicle loading area. 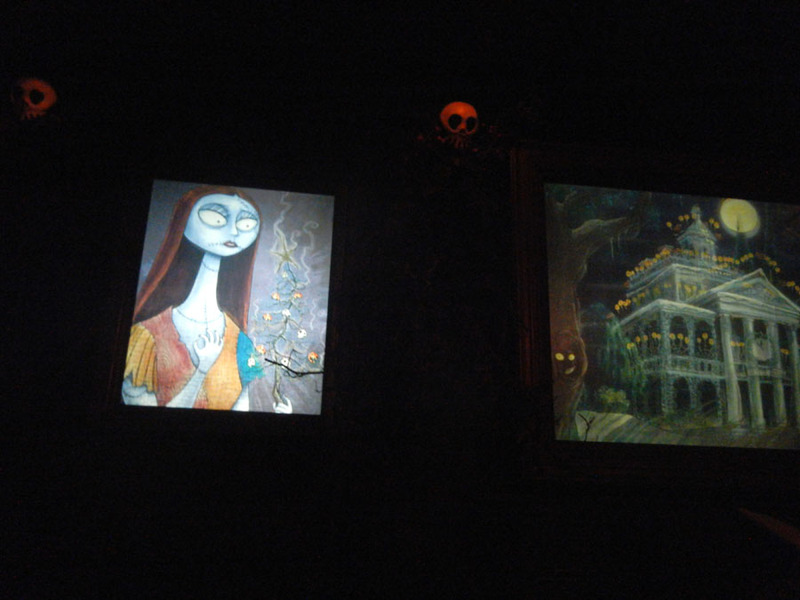 These posters are particular to Haunted Mansion Holiday. Doom buggies around the crystal ball. 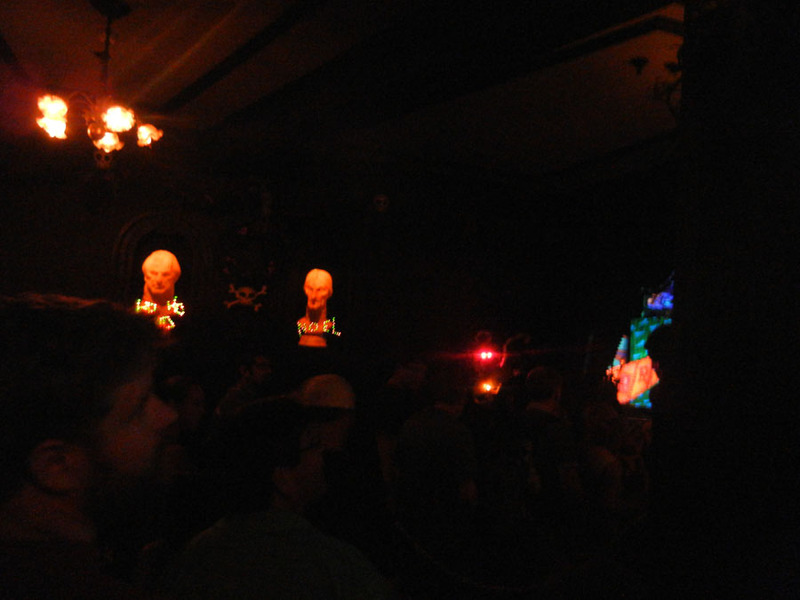 A terrible photo of the dancing ghosts room.